Despite the oceans of media hype, there is still no publicly available trustworthy evidence whatsoever that the Trump campaign somehow colluded with the Russian government. Not a scintilla of proof of improper conduct. Nothing. Nada. Zip. Zero. All we have is the alleged say-so of invisible CIA spooks whose motives are questionable, to put it charitably. But because Attorney General Jeff Sessions, a self-described Trump surrogate, acknowledges he had contact with the Russian ambassador during the recent presidential election campaign, he has decided, quite properly, to recuse himself from the Department of Justice’s investigation. Sessions will no longer be briefed on the Russian interference investigation (if there even is one). He says any meetings that took place with the Russian envoy were in his then-capacity as a U.S. senator, not for the purpose of entering into some kind of weird conspiracy with a hostile foreign power. Consistent with the succession order for the Department of Justice, Acting Deputy Attorney General and U.S. Attorney for the Eastern District of Virginia Dane Boente shall act as and perform the functions of the Attorney General with respect to any matters from which I have recused myself to the extent they exist. 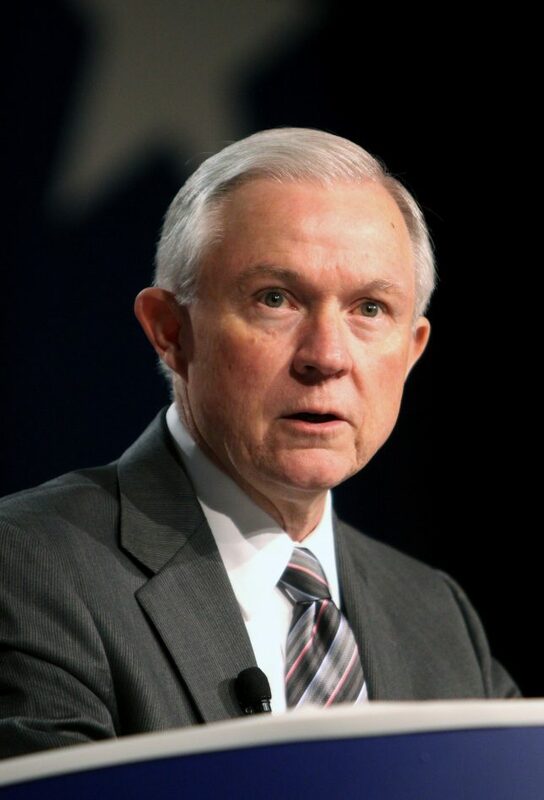 Mass media hysteria seems to have forced Sessions to do this even after President Trump said earlier in the day that he saw no reason for the nation’s top law enforcement official to recuse himself. The pressure ramped up after Trump’s excellent address to Congress earlier this week. How convenient. Suddenly good news about the Trump administration evaporates just as the Left wanted it to. The congressional address apparently tilted the playing field. As CNN’s resident commie propagandist Van Jones was forced to admit, President Trump’s widely praised address to Congress this week was a game-changer. Trump “became president of the United States in that moment, period.” Jones was moved during Trump’s tribute to fallen Chief Petty Officer William “Ryan” Owens, a Navy SEAL, and his widow Carryn Owens. Trump looked towards a visibly emotional Mrs. Owens and said, “Ryan’s legacy is etched into eternity … thank you,” a comment that was followed by a stand ovation that lasted two minutes. Jones said, “That was one of the most extraordinary moments you have ever seen in American politics.” He added, “If he finds a way to do that over and over again, he’s going to be there for eight years.” Not surprisingly, Jones’s simple acknowledgment of reality earned him the wrath of professionally unhinged MSNBC reject Keith Olbermann and a chorus of other radicals. It’s still not clear what, if anything, the Russians did, or why. Is Russian President Vladimir Putin trying to undermine the public’s faith in American democracy as the talking heads say? The KGB veteran delights in being seen as a puppet master who throws his weight around in other countries. As a few voices in the wilderness have suggested, if Russia is trying to influence the U.S. at all, it is in an attempt to bolster Putin at home. In other words, it is a propaganda campaign aimed at Russians in Russia. And the Left is complicit in it.